Lutheran CORE is just what it says it is: Lutheran COalition for REnewal. Our membership is broad —including faithful Lutherans in Augsburg Lutheran Churches, ELCA, ELCIC, LCMC, LCMS, NALC, and others. I serve as chair of the ELCA-Specific Working Group of Lutheran CORE—now renamed ELCA Witness—and this article is directed particularly at those faithful Lutherans who find themselves living and serving Jesus Christ in the ELCA. 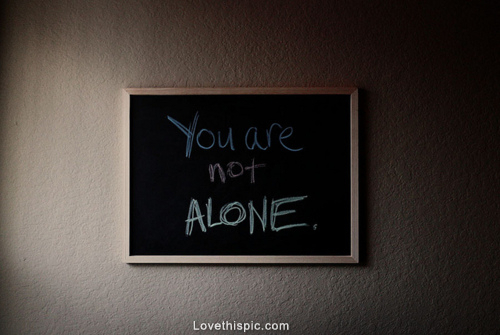 I have an important message for you today: You are not alone! This message was the theme of my remarks at the 2013 Lutheran CORE Convocation in Pittsburgh, PA. The message was true in August, and it is no less true today. You are not alone! I understand how lonely it can be to serve as a pastor or faithful layperson in the ELCA. Barely a week goes by in which I’m not personally challenged by someone to defend my decision to be a “stayer still” in the ELCA. I receive this questioning both from those who have already left the ELCA and from those who wish I would just go and leave them alone already! Perhaps some of you reading this article can relate. My word of hope for you is that you are not alone. This is the most important message I can give to any orthodox, confessional Lutherans who find themselves in the ELCA. I know firsthand how remaining in the ELCA can make you feel—with some regularity— like a wanderer in a strange wilderness. I served on the Task Force for ELCA Studies on Sexuality, after all. But truly, you are not alone! Lutheran CORE serves to connect you with other orthodox, confessional Lutherans both within the ELCA and in other church bodies. -Keeping in front of the ELCA what it has said about those who disagree with the 2009 ministry changes and those who have a traditional understanding of marriage. -Being present at synod assemblies through display tables, workshops, and witnessing on the assembly floor. -Being omnipresent where ELCA people are gathered, including Churchwide Assemblies, synod assemblies, and pastors’ conferences. -Considering being recognized by the ELCA as either an intra- Lutheran organization or applying for ILO status. -Sending a representative of Lutheran CORE to ELCA Church Council meetings. -Monitoring the disrespect of the bound conscience of orthodox Lutherans. -And connecting ELCA Lutherans of like mind while becoming a clearinghouse of information and orthodox resources. Pray for our work together! Keep yourself connected to Lutheran CORE through our website, newsletter, Facebook page, Twitter account, and events. Because of Lutheran CORE, you have no reason to feel that yours is the only voice for Lutheran orthodoxy within the ELCA. There is strength in our numbers! You are not alone! Thanks be to God for Lutheran CORE! Chairs ELCA Witness, a task force of the Lutheran CORE steering committee. She is pastor at Gethsemane Lutheran Church in Wallace, Mich., and St. Stephen’s Lutheran Church in Stephenson, Mich. Pr. Johnson can be reached at pastorcori@hotmail.com.